WHO’S THERE WHEN WE TRANSITION? Gaia, what is the probability of the U.S. withdrawal from the Paris Climate Change Agreement being reversed? Yes, that withdrawal will never be fully implemented, Tom, as there will be great pressure from all quarters to abide by the Agreement. As we said before, the pendulum swings back in the other direction, but in this case not too far before turning back in the other direction. President Trump was forced into that move from more than one direction, shall we say. But the reasons for that Agreement will be made abundantly clear over the next year to 18 months. If you recall, you were told quite sometime in the past that Europe would take more of a leadership role, and this is one of the major reasons. You have a comparatively weak president, although he will gain more knowledge and will get better as he goes along. Theo, what is the probability of Jared Kushner’s role in the White House being diminished? In the short term it will, but President Trump needs a close family confidant that he can trust, and as you were told before, he and his wife will push him to a more centrist conservative position in the future. So, the probability of a slightly lesser role in the near future is high, but it is higher still for him to become or to have a higher profile before long. You cannot see what we see, Tom, but chaos is not too strong a word to use. As we said before, Trump and his administration are going through a steep learning curve that will take almost a year to a little more than a year for things to settle down. He will still make more mistakes, but there will be times when he makes the correct decision in the interests of the citizens of the USA and world. Again, have your readers say the BP and it does help in subtle ways but sometimes easily seen. Please say this BP OUT LOUD: "I ask any and all beings to aid and assist President Trump, his Administration, Congress, and the Courts to make decisions in the best interests of the citizens of the United States, the world's citizens, and the planet, thank you!" Mikael wrote from Europe and repeated what he had been told that a large percentage of refugees were killers and rapists and were released after committing these acts. Theo, what percentage of refugees are potential killers and rapists and those that break the law? Yes, it is a tiny percentage of refugees who come with malice in their hearts. It would be far less than one percent. We know there are those who are not yet at a higher level where they can love these people unconditionally. There are people who try to divide people on their radio and TV shows. They were hired to do just that, and when they stop performing that service, they will be out of a job. In a way, it’s all part of a master plan to keep races in conflict, since it is good for business, whether it be broadcasting, arms sales, power brokers behind governments, banking institutions that make money off of loans to governments and companies that do business in all these areas. These people basically are being manipulated, Tom. They are such young souls they do not recognize the manipulation. Still, when they review these lives they will vow to do better next time. The vast percentage of these refugees are fleeing for their lives and the lives of their families. If they stay, they will surely die or at the very least live miserable lives under the threat of war coming to their doors, or malnutrition illnesses. Those that lead even blue collar lives in the United States have such a high standard of living than 80 to 90 percent of the rest of the world, but still live in fear that someone is going to take their jobs and they will be left homeless. That is not going to happen. We recently saw GHOST IN THE SHELL, starring Scarlett Johansson, about androids in the future, but they used human brains inserted into the android bodies. Gaia, when androids are created 300 years in the future, will they consist of organs and other parts of the body produced in a lab, or will they partially use human parts such as the brain? No, they will only use body parts created in a lab, Tom. That is why it will take so long to produce an android, as they will be prevented by law, of course, from using any human body part; and no, to answer what you are thinking, there will be no place in the world where they would try and “cut corners” by using, let’s say, a human brain as was depicted in the movie you saw. Times will be much easier then, as there will be less negativity compared to what you have today, and certainly almost zero conflicts. Any potential conflicts will be handled by negotiators who will work with both sides to resolve conflicts. On that line, I assume the armies, navies and air forces of the world will be greatly reduced or almost nonexistent? That's correct, Tom. The money spent on the military today will be spent to make the lives of citizens around the world more benevolent. Yes, but let me affirm that you are on that path, even though it may not seem that way, with so many conflicts in the world. These will fade away in time. And of course, you can have everyone say a BP for world peace this week and it will help, even though the results might not be readily seen. Gloria writes: I live in the Western Piedmont area of North Carolina, a short distance from the Appalachian Mountains and a couple hundred miles or so from the Atlantic coastal area. A few years ago this area experienced an earth tremor. And, back in 1989 Hurricane Hugo came inland this far causing widespread damage from downed trees and power outages. What future plans does Gaia have for this area of the Southeastern United States and in particular, the mountain areas around Asheville, NC? Again, thank you and your guides and contacts for all that you share with your readers! Gaia, any tremors in the future for the mountainous area near Asheville, NC? Yes, they will continue to have a few in their future, but nothing severe. They are near enough to the East Coast that they will at times experience large hurricanes. Anyone that lives in that area should live where they are high enough so that torrential rains and winds generated by these giant storms do not affect them. For my new readers, Antura is an ET that I telepathically communicate with. Theo introduced him to me in 2008, and I was to find out that he’s a member of my soul group or “cluster,” has had 800 lives on Earth so far, but is back on his home planet Nommo taking a break from Earth lives. He’s an amphibian and a member of a “first contact” team traveling to emerging worlds to introduce themselves. He specializes in “grass roots contacts.” You can read much more about his life in my book FIRST CONTACT: Conversations with an ET. Around October, he’s headed to Earth in a Sirian mothership to replace one on duty now, taking millions of readings a day, along with 25 or so other motherships from the Federation of Planets and even from a couple of other universes (there are billions). I and my family are supposed to meet him sometime next year and shoot the first documentary on board a mothership. Here are more questions I asked in the past week or so. [Referring to being previously told that Antura is capable of carrying on several conversations at the same time with all my parallel selves and the two other people he communicates with] Good morning or good day hyperactive, Antura. Good life to you and your family. Thank you, Tom. Yes, my explanations would seem to be on a hyperactive scale, but I am quite used to it. You don’t communicate with any other planets at this time do you? No, my full concentration is on Earth. All of you keep me quite busy. This question came to me, I think, from Marie. Star Flickers Again Spurring Alien Theories: Click here. It is an unusual star in that most of the planets are aligned and there are many planets encircling the star. More I must leave for your scientists in the coming years to observe as your instruments improve. Gaia, is there any ET technology involved with the star KIC 8462852? No, there is not, Tom. It is good that they think there might be since that keeps the idea that there are ETs or aliens in the cosmos, but in this case, they will find it is but one of thousands and, yes, millions of stars that have different properties that cause them to have this appearance or other appearances that do not appear to be normal. As your equipment is upgraded over the coming century, you will see many more differences you cannot view right now. That’s just part of progress, Tom. For now, just accept this is but one of the wonders of this universe that the Creator made. Aravind writes: This would be a good question for the newsletter: Click Here. A BIZARRE object dubbed the Roswell Rock has continued to spark conspiracy theories 13 years on from its discovery. 1. Is this stone genuine or an elaborate hoax? 2. How did it appear in the Roswell UFO crash site? 3. What do the symbols mean? Antura, a rock with symbols on it was reportedly found near Roswell, NM. Real or fake? Fake, Tom. Nice carving job though. Peter writes from Canada: Here is the other experience I was talking about. I had an 8 hour drive to do with my wife in September 2015. We saw a large strange star during the night in front of us. Then, later, when the sun rose, I felt the pain in my legs and lower back. My wife felt the same. Then the light in the sky flashed strangely and there was water that appeared on both sides of the road. My wife thought the area was flooded and was worried. Then we saw a signpost from a place well before the time. She thought it was bizarre that a sign of the place was on the highway so early. We simply have not seen on the highway the towns that we usually see when we do this road twice a year for over 10 years to see her children and grandchildren. Realizing that it was a little weird, I checked the fuel level, what time it is and the mileage, it was all the same. Nothing changed. Later, when we were arriving near our destination my wife sent a text message to her niece. She was surprised and asked if we were speeding? Later, after calculation, we realized that we were ahead by 2 hours, or nearly 200 kilometers. We took 6 hours rather than 8 hours to make the ride. I filled up 200 km farther than I usually do. The car said that I made 200 km less for the same distance traveled on this highway. This highway is the only route to go in the north. I have already heard of losing the notion of time, but this is for me a first. Antura, is Peter’s wife also from Zirkon? No, but her soul contract is to assist Peter, as his is to assist her. Why didn’t the Zirkonians have someone on board to heal the person, or they could even have gone to one of the motherships and asked for assistance? Yes, but they knew Peter could instantly do the healing, as he has done so for other Zirkonians thousands of times in the past. He is considered a great healer on their planet. How did he and his wife arrive two hours early on another trip? Yes, they were taken, but not really abducted. He was given adjustments to assist him in his work here. That is allowed in certain circumstances of the Earth Directive, just as when your wife awoke to see lights over your bed in Sedona, Arizona on your trip there. He and his wife could have regressive hypnosis, but it might be a little frightening. We can assure you that they were not harmed in any way. Antura, you said that there were slightly less than 11,000 soul fragments from Nommo having lives on Earth right now. Those are fragments and not whole souls? That number is whole souls, Tom. Sorry for the confusion. Does that number include the land dwellers too? No, only our amphibian race. There are very few of the land dwellers who volunteered. What percentage of soul fragments on Earth right now are Sirian? About the same percentage, perhaps a tiny bit more. Did I receive the percentage correctly about the Arcturians? I would have thought there would have been more Sirians than Arcturians? No, they are almost identically the same, Tom. Obviously some planets in both systems had many more volunteers than did our planet, and let’s include Zirkon as we have previously discussed them. So, go with those percentages at this time. We do not need to deal in decimal points at this stage. What percentage of soul fragments on Earth are Zetas? You can place them at slightly less than 5%, Tom. So, not 3 or 4 percent or less? No, use that figure. The later versions of the Zetas—not those from the past—are part of the Earth Experiment and are in the Federation. Yes, you would think with the kidnapping of the people they would be, shall we say, in the same boat as the Nibiruans, but the Zetas did not enslave thousands of humans over thousands of years nor did they have a war using nuclear weapons. And the Zetas plan to correct their actions now in the near future. Erica writes: Do non-veiled beings ever talk to themselves while figuring out a problem? I was thinking that maybe it does happen- just less due to not being veiled and telekinesis. Antura, do ETs talk to themselves while doing work, or is that just a human trait? More human in nature, Tom. There might be another race or two in the universe, but we’re not aware of them, and I’m drawing on centralized knowledge, we will call it, for this question. Antura, did I misreceive you regarding the Afghanistan UFO ET ship, as a lady claims she has students that could have created that image [referring to a response on Quora]? Quite so, Tom. They may be able to create the same image and movement, but in this case the truth is stranger than fiction. Yes, there are a number of others that have been created, but this one was real, I can assure you. It does make me question when I see not only that one, but others that are blatantly CGI on the same website. Yes, but again, in this instance it was real. As explained before, he changed frequencies just when he appeared. Will Dr. Steven Greer be on the list for the Pleiadians’ first visit or later? I know you thought it would be the first visit, but the first will be devoted to governments. He is on the list for a subsequent visit. He will be quite busy fielding questions from the press during their first visit. But he will not be ignored and will be visited, along with a number of his followers, after that. Keep in mind that this can be very close to the time of the first visit. What other countries will the Pleiadians visit? Any other Eastern European countries? No, not on the first visit. They will concentrate on the large countries which have been having meetings on a regular basis. They will visit a couple of western European countries that have been quite involved in their own way, including Germany France, and the UK. Then naturally, the USA is on the list and whether they will be visited or not on the first visit has yet to be determined. China is on the list too. And yes, Brazil. How many sleeping modules for humans have been or will be loaded onto your Sirian ship? We feel that five should be sufficient, but have loaded seven just in case. We do not wish people to have to double up unless they are a couple such as you and your wife. Yes, there was no need for them before, although in the distant past there were a couple of visitors during the Atlantean and Lemurian days. But that was so long ago that the modules have been improved, so new ones were ordered and constructed. Maggie writes: In your last newsletter, Antura mentioned that about 600 planets wanted to participate in the Earth Experiment, multi-incarnating their souls into Earth bodies for expedited knowledge that they can bring back to their home planet. Since these souls originated on vastly different planets, do these souls bring any planet-specific qualities to their temperaments as humans? Say, in general, Pleiadians tend to be nonviolent, or Nommoans tend to love water, or Reptilians tend to enjoy physicality, for example? Is there a distinguishing characteristic or genetic trait from the home planet, or are all souls pretty much the same and experiencing every manner of being without preference? Looking forward to your interviews with our visiting cousins. [Think I reported over 300, but haven’t nailed that down yet] Antura, are all souls the same, or do some souls have distinguishing characteristics from different planets such as a love for water in your case? Good question from our reader, Tom. Yes there can be a subconscious feeling such as the love of water you mentioned. And yes, a Reptilian soul would feel quite comfortable enjoying the company of lizards, alligators, snakes, and so on. So to answer your question, yes there can be some subtle, but distinguishing characteristics, and I might add, vary greatly, since there are so many planets taking part in the Earth Experiment. 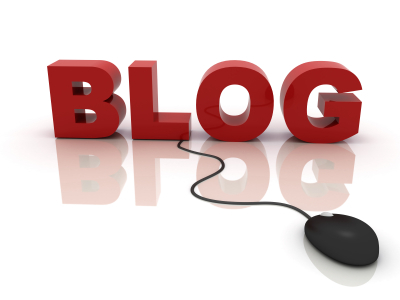 Renee writes: Do I have an MBO for you! I spent a surprised visit to the hospital over Easter weekend having my appendix out. Never had a surgery before but I was extremely calm under the circumstances because of my firm belief in MBOs. Everything went well and the private room and care I received was exceptionally great. BUT, when I was home about 4 days later, I went to the post office and in my mail was a letter from my insurance company that they DENIED all coverage for my stay in the hospital. I immediately said an MBO for this insurance company and hospital to come to a resolution and that the outcome be more than I could hope for or expect. After countless calls between the insurance company and the hospital, I was told by both parties that they were "working it out" and should be notifying me of the outcome in a few weeks. Now, for my "Expect Great Things" story. You may or may not remember this, but about seven years or so ago I contacted you regarding my missing brother in Alaska. He moved up to Fairbanks in the late summer of 2008 and for about five years I was unable to find him. So, you asked Theo a couple of times during those years about his well-being and where he was. I was so grateful for this information and the MBOs. Anyway, I finally located him back in 2012. It turned out that he didn't reach out to me all those years because he felt bad that he wasn't able to pay back the money he owed me. I told him that I didn't even care about the money that I had written it off a long time ago. I was only concerned about finding him and his wellbeing. Well, these days my brother is in a much better position financially. Just last week he said he was going to wire me the money he owed. I was so elated and happy that he could because I wasn't sure what the outcome of this hospital bill was going to be. His money arrived just two days after I got the $0 balance of the hospital bill. Another "Expect Great Things" story. Carol in Waterloo, Ontario, Canada writes: I misplaced my house keys about two weeks ago. My husband and I turned our apartment upside down for two days. Then I had to check in with the property manager to tell her I’d lost them. So she deactivated the key fob that opens up the door to the lobby and other areas of the building. I also went to the locksmith she suggested and had two sets made. Needless to say, I have been saying my Thank Yous for the recovery of the keys and now the key fob has been reactivated! Those MBOs sure work, but in God’s own time!! Now we have an extra set of keys just in case and I can return the other extra set to our daughter-in-law who looks after our digs when we are away. MBOs WORK!! Laurie writes: I remember you saying that birthmarks can be reminders of a past life, such as suffering a gunshot. What about moles? My sisters, my nephew, and I all have a dark mole in the same location on our stomachs. Is this a genetic inherited trait or did we all get shot in the stomach together in a previous life? Gaia, three sisters and Laurie’s nephew all have the same black mole on their stomachs. Is this genetically inherited or were they all shot in their stomachs in a past life? Yes, an interesting question. It can be both – inherited and a past life reminder. For the three sisters and nephew, it is a reminder of their attachment in a prior life when all were murdered. They all came back together, this time for a normal life or lives on Earth, but do feel close. I have reported in the past that my wife’s next life will be as a man in ancient Egypt over 12,000 years ago, and a great leader for his people. I will be his assistant then, but it will be a past life for me, probably just after the life I lived when I immigrated to Egypt with 25,000 of my followers from Atlantis. She was a princess then that helped us resettle. Now it gets a little more complicated. As you’ll read below, I will have several future lives with two people who will start two religions in order to get to know them prior to my two future lives in the past when I will be part of their inner circle in some form. Theo, of the two future lives I will have at the start of the two religions, will those lives also be future lives for those two people after our lives in the future, or are they already past lives for them? This is an interesting question, Tom. You could say both, as for one it is a past life and for the other a future life. Then how can my having lives with the person who has already had that life affect that life after my future lives? It may be difficult to understand, Tom, but the familiarity you will achieve in those future lives will carry over to that life. Then why do I need to wait to have those future lives. Why haven’t I had them already? Because you and they needed the right circumstances to be able to relate to each other. So, I want to make sure I’m receiving correctly. One person has already had that life and one has not? Quite correct, Tom. You received me perfectly. That person will not feel as close to you as the other, but there will be that subconscious familiarity, just not as strongly as the other person. Have I already had a life with the person who began the Zoroastrianism religion? Yes, Tom. I know you thought you might not have, as we have not discussed this before, but the Zoroaster religion is not one of the two in the future life for you. 1. Why did River Phoenix die at age 23? 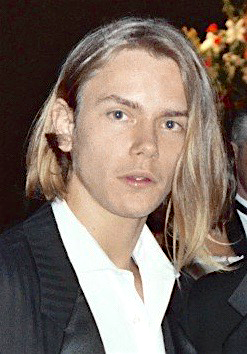 Theo, why did River Phoenix die at 23, and is he incarnated at this time? He was a younger soul and needed the experience of an early transition, along with some balancing from a previous life. He is not incarnated again yet. He has incarnated in another time period. Helen writes from Brisbane, Australia: My 88-year-old mother asked me recently, "What if, when I pass, dad (her husband, my father!) has already reincarnated - will we ever find each other again?" I answered that from my understanding of Kryon's teachings that the majority of our soul "essence" always remains in non-physical (say 80%) and only a fragment incarnates. So when we return to non-physical or Source, we always recognise our soul cluster/family/group and can keep tabs as it were or communicate with them. (I feel my mum has a fear of returning to Source and being "lost" or alone somehow). Any enlightening words? Theo, when a loved one transitions and then reincarnates, I’m asked if there is still a fragment of that soul fragment left to welcome loved ones when they transition. Yes, of course, Tom. Your soul fragments are much more than you can imagine at this time. Keep in mind that your soul fragment right now is acting as a guide to thousands of people in their daily lives across all time lines and time periods. So, emphatically yes, there will be a portion of their souls ready to meet them with love and open arms to assist in the adjustment that takes place. That is a guarantee.